Thank you for your interest in the Feast Hackathon! Please note that all participants need to fill out this form. Applications are reviewed on a rolling basis. 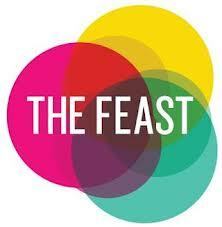 The Feast Conference is an annual gathering in New York City. Over the course of two and a half days, we connect remarkable entrepreneurs, radicals, doers and thinkers who bring their skills to the table to make life better. Our hackathon is a creative hub of the most talented minds and makers in technology. The goal is to envision and produce tangible solutions to some of our greatest challenges. This is about getting nitty gritty and building tools with and for some of the most innovative organizations and institutions around. To prep, we’ve been working with amazing partners to research and craft briefs that reflect real opportunities for technology to drive change. We’ve worked with the Department of Veterans Affairs (VA) and Marina Martin, the CTO at VA’s Center of Innovation to spec out data needs for you to solve that could support 14.4 Million veterans across the country. They will be in attendance along with several veterans to offer context for the opportunities, needs and challenge brief and have offered to potentially support development of relevant solutions that arise. David Theo Goldberg (Co-Founder, HASTAC) and Hsing Wei (Director, EDesign Lab) will share new perspectives and expertise as we create tools to support self-driven and connected learning. They will also share opportunities to continue this work. These partners are invested in these challenges, the solutions you create and in continuing what you build to change the world beyond the hack. As a hacker, you’ll participate in two dedicated work days the week prior to the Conference. The following week, you will get free admission and full access to The Feast Conference, where you and your fellow hackers will present your work onstage to an audience of world-class innovators, thought-leaders, and thousands watching worldwide. All teams need to register here before 2pm Sunday, Oct. 13 in order to demo their hack. Each team will have 3 minutes to present. projects between the conclusion of the Hackathon and their presentation at the conference Oct.
continued development, and may build upon hacks after the conclusion of the Hackathon. Competition0, a separate initiative of HASTAC0 and The MacArthur Foundation. merit and mu0st be made separately and apart from participant entry in the FEAST Hackathon. accordance with the Creative Commons Attribution License (cc) (by). Register your hack here before 2pm on Sunday in order to present. Each team will have 3 minutes to demo.